The International Heavy Haul Association has conducted its first strategy session towards development of a common vision of heavy haul railways for the year 2030. The impetus for this cooperative effort has been anticipation that the 4th industrial revolution, characterized by cloud computing, big data analytics, the Internet of Things and 3D printing, will offer an opportunity to transform heavy haul railways. The preliminary strategy workshop took place in Lulea, Sweden September 15 and 16, and was attended by representatives from Australia, Europe, India, Russia, South Africa and North America, with submissions as well from China Railways and VALE Brazil. 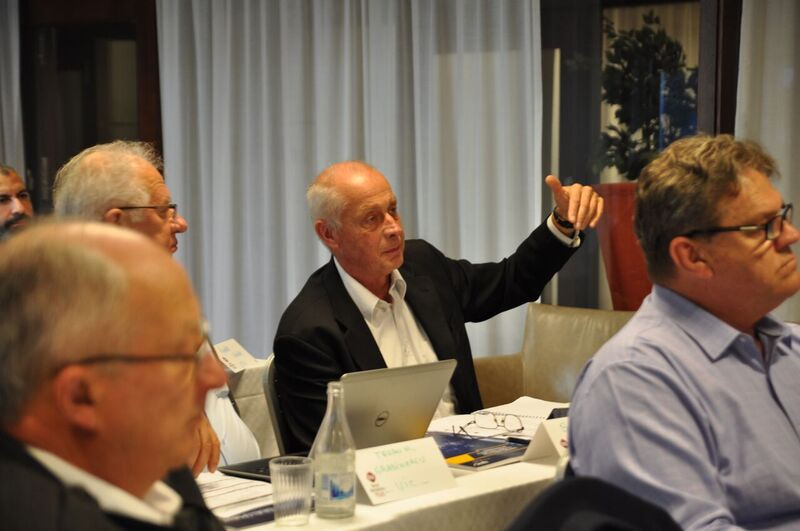 The Workshop reviewed presentations on a suite of themes presented by theme champions from each of the member countries.to arrive at a common vision of Heavy Haul 4.0. The representatives envisaged heavy haul railways dealing with higher tonnages in the future, unlocking capacity through the use of true virtual moving blocks, aided by communications-based train control. They saw trains running autonomously with tighter headways, dispatched and guided by computers analysing vast amounts of data in real time. Track and rolling stock inspections would be performed by onboard and wayside sensors feeding artificial intelligence algorithms capable of trending conditions and proactively assigning maintenance work orders. Technology was determined to be a key lever in achieving safer, more productive and more reliable railways and the lowest possible risk environment for employees. In the future, railway assets would be closely managed with the help of extensive data analytics capable of assessing remaining asset life, but prompting actions that would economically extend asset life. The heavy haul strategy group acknowledged the enablers of the Heavy Haul 4.0 vision. Among these are the challenges of transforming the skill sets of the rail workforce to align to the new digital rail platform, and raising the capabilities to process big data. The Digital Heavy Haul Railway 4.0 will require much greater communications capabilities and bandwidth to handle real time monitoring of train and track status and condition. Cybersecurity will need to evolve in relation with this growth of IT command and control of heavy haul rail operations. The preliminary thoughts of the strategy workshop will next be presented to an invited group of decision-makers in a definitive parallel session coinciding with the next IHHA conference, to take place in Narvik, Norway in June, 2019. This session is intended to build consensus and broaden the vision of Heavy Haul 4.0. The International Heavy Haul Association would then be looking to dialog further with suppliers, researchers, educators and regulators to help move heavy haul railroading forward. The visioning exercise will produce a common white paper to focus these discussions.